Military and Law Enforcement providers as well as professional athletes, especially UFC (Ultimate Fight Club) participants, are raving about this exceptionally designed and produced Missouri made product. 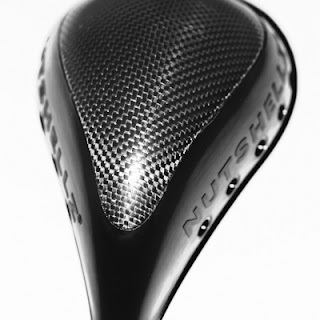 Armorednutshellz.com is the brainchild of talented engineer and former marine, Jeremiah Raber. Exposure to car racing engineers, enabled Raber to discover the benefits of the well known bullet resistant product called Kevlar. Not being altogether thrilled with just another Kevlar product, Raber spent countless hours researching and testing other fabrics and fibers, before settling on a superb combination including Kevlar and Ultra-High-Molecular-Weight Polyethylene (UHMWPE). The product he designed has proven to be one of the finest armored protection devices available today. Sportspeople, including soccer players, cricketers, hockey players, baseball players, even professional American footballers and participants in MMA (mixed martial arts) are seeing the benefits of this expertly designed and produced armored protection product that protects the groin region from damage. Raber produces the product himself in a especially designed workshop using the finest materials. 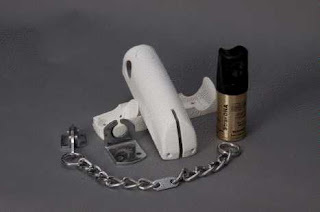 Personal and physical security products are what this site aims to bring attention to. This is an example of a personal security product that not only can save your balls, but potentially save your life too and hence deserves placement in this blog. Check out Armored Nut Shellz in the source below. In July last year, we wrote an article about Chain Reaction DNA, a product that has been adopted by security personell in the USA under the guise of Smartspray DNA that enables the spray solution to "infect" a would be assailant or criminal and mark them with an invisible solution that shows up under ultra violet light. It is being used in some parts of the USA right now and the video (after the jump) shows a recent news article about how effective it is becoming. The product is applied via a spay canister located in a vehicle, purposely set up by Florida police to catch a thief, who was targeting vehicles in their district. Skydas are a Lithuanian company that specialize in super strong virtually impregnable entry systems. Especially designed and built using state of the art manufacturing facilities located in Vilnius, Lithuania, Skydas began in 1999 with just 5 employees. In the video (after the jump) below, they show attempts to bust open a door and just how strong this product is. Specifically a high security door manufacturing company, they now have over 100 employees and sales offices in over 20 European countries. As the video shows, the doors and entrances are built to withstand some of the toughest and most determined destructive entry methods. Skydas also produce some incredibly aesthetically pleasing doors and entrance-ways. But they do not just limit themselves to doors. They also include smash/bullet resistant glass as well. Some of our product manufacturers are increasing their prices at this time as we see Lockwood increase their cost price by 10%. This means that our wildly popular Lockwood 7444 Keyed Pocket Door Lock is likely to increase next month. We are trying to absorb this rise thanks to a stronger $US and will let you know if situations require us to increase the cost. We apologize for any inconvenience. 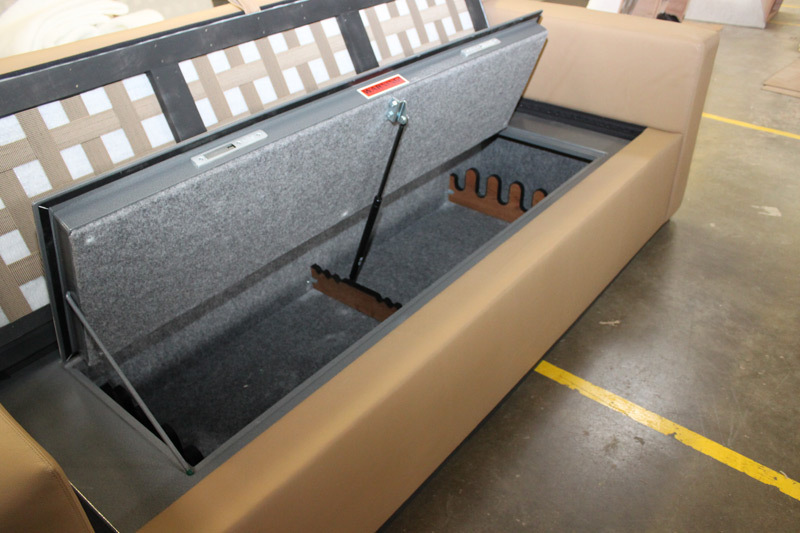 The patent pending Couchbunker system manufactured by a leading Texan based manufacturer Heracles Manufacturing Corporation is a sensational and aesthetically pleasing modern alternative to gun safes. Essentially it is a high quality safe/vault built into a couch/sofa base. The difference between a regular gun safe and this sensational new product is the expertly designed and protected seat cushions that are especially designed to be used as personal shielding, in the event of nefarious attack. The safe is expertly packed into a couch, the size of half a queen sized bed. It is 78" long, x 29.5" wide x 14" deep. It is lined with a 2 hour firewall protecting the contents from fire. The use of 2 high security key operated locks that are keyed alike offer significant pick resistance and key duplication resistant key control. The perfect addition to the hunting lodge or school or office environment, this appealing sofa/couch is expressly designed to offer aesthetic pleasing decor combined with a state of the art gun safe that can house up to 30 rifles and other valuables requiring protection. Visit the company website in the source below, for pricing details and ordering and watch the embedded video of the cushions resisting a .44 magnum gun attack at close range. The Invisible Door Stop is a sensational idea that I'm really surprised has taken this long to come about. Invented by a forward thinking gentleman, Jeffrey Karcher, it is a patent pending product that will definitely improve the door, hardware and home improvement industries. It is essentially a product that installs to your existing hinge. It is purposely designed to limit the opening of your door. It is made from a strong polymer that is tested to withstand heat and strength tests. When your door is closed the product is invisible. No more door stops fitted to the skirting board or connected to the base of the door. No more hinge stoppers marking the door or frame. View the video after the jump for installation instructions. Kwikset Smartkey Problems is one of the leading search engine keywords that brings people to this site. Many people get to this page and leave a comment or read other pages within. Mark Tobias and his team of researchers just released an updated story (see Source below) about a new hack that renders the security of almost any Kwikset, Baldwin or Weiser lock system, that essentially use the Smartkey platform, easily defeated with virtually no damage. I am not sure how long the video will be active, but if you are a Kwikset Smartkey owner or are contemplating buying one, you really need to be made aware of this products shortcomings. The Schlage Primus key system, once thought by locksmiths across the country to be non-duplicatable, and also identified a couple of years ago as NOT Bump Resistant, faces one of the biggest threats to it's platform with the public release of this breaking news story. In many states across the country, Schlage convinced locksmith companies to take on their own outright keyways and dealer codes, to corner their own market preventing duplication of keys by hardware stores, cookie key cutters, shoe repairers and gas stations. Little did we know that Schlage were simply sharing key profiles across state, sometimes county lines and in some cicumstances sharing side pin codes (dealer codes) across state lines. The whole agreement appeared very shady, indeed. 3D printing technology has grown from it's infancy and is now being seen and used by small to medium sized manufacturing businesses. UPS are rolling out a trial 3D printer in some stores in San Diego, hoping to cash in on the opportunity for customers to 3D print a sample or spare part of their choice. With access to many print stores across the country, the potential loss to current Schlage Primus dealers could be huge. It means that virtually any Primus key holder could get a copy made for less than $5 at their local print store. Dont think for a minute, that the large players in stationery and printing like Staples, Office Depot and the like, with super large budgets wont get in on the action of on demand 3D printing. Hardware big box stores like Lowes and Home Depot will jump in too and offer 3D printing in their one-stop franchises. Other brands that use a similar system to Primus, include Medeco, Scorpion, Twin and some other brands. This realization that your key system is not actually secure as you expected will mean that you will need to find systems that do as intended. 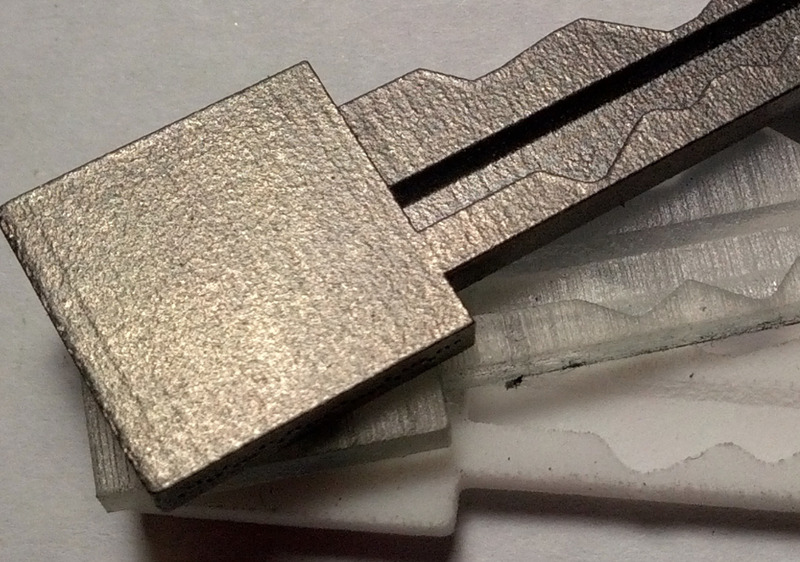 Our Bilock Extreme Security Key Systems are carefully designed to prevent unauthorised duplication and with the introduction of the 13th element, a trigger mechanism that is interactive, 3D printing of a useable key is just not possible (at this time). Bilock is well known worldwide for being a premium quality high-security restricted key system that outperforms virtually all other systems. It's unique keyway and pinning system, combined with state of the art side-bar technology and interchangeable core functionality and color coded key heads, makes it a formidable partner in the security of your home and business. We are the largest provider of Bilock Systems in the Mid-West, using state of the art master key software to create, design and build our own systems. We have nearly 25 years international experience in the product line and have installed many of the most complex systems to universities, hospitals, private schools, casino's and hotels across the world.